"As an expert Psychotherapist, my counselling methods offer support, insight, aid and exceptional care while implementing effectual treatment plans for children ages 5+, adolescents, adults, parents and caregivers dealing with personal life issues and/or special circumstances. My therapeutic techniques allow for a more empathetic and compassionate approach, yet these methods are also structured for using a direct approach in the treatment course of action. " 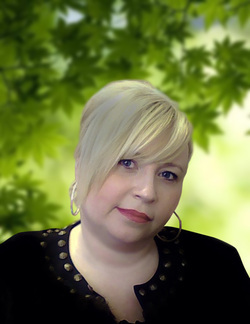 Angela's Personal VisionWith unique, individual life matters and concerns, each person deserves support in a confidential, understanding, non-judgmental, caring environment in order to work through stressful and bothersome life issues. Whether it is with regards to your own personal well-being or that of your child’s or a loved ones, my goals are to assist, support, encourage and offer insight to you and your loved ones while working through personal endeavours. ValuesOne's self-reflection, acknowledging and exploring your personal beliefs, thoughts and emotions is of great value within our sessions and throughout your everyday life. I respect your individuality and your core personality and do believe that each treatment plan should be unique to you, your life issues and your overall wellbeing. Child CounsellingI place great importance on offering a child a caring, trusting and feel safe environment to open up in. Your child is carefully, and with sensitivity, assessed and treated with individuality and accordingly. Child counselling treatments, depending on the age and concerns, can include play therapy, behavioral modification therapy, CBT, or narrative therapy approaches. Every step within the treatment approach that I take is discussed thoroughly before hand with the parent or guardian bringing the child and partaking in their child's treatment. Whether it is a parent or a guardian/caregiver, it is in the best interest of the child when the parent/guardian takes a positive role and offers additional support throughout the treatment process. We all need to work together, always keeping in mind the child's best interest and overall wellbeing. Adolescent CounsellingTweens and teenagers are in a very sensitive and evolving stage in their life. The highs and lows of everyday teenage life alone can be very stressful for them. It is of the upmost importance that I keep a very open yet direct dialect and approach when counselling adolescents. This gives them a chance for self-reflection while recognizing that these sessions are for them to divulge their life concerns and anything else they choose to discuss while in a professional, trusting and private environment. Depending on the age and concerns, some of the therapeutic styles I may use for treatment are cognitive behavioral therapy (CBT), narrative therapy, behavioral therapy, cognitive therapy and interpersonal therapy. I believe that the positive role a parent/guardian will take on during the adolescent years can very much help set the stage, for their child, toward a successful transition into adulthood. Let’s work together in helping your child over this period in their life where they face so many life challenges, whether it is a special circumstance or life issues and conflict, learning to overcome them or cope with them can make for a happier, more confident individual! Adult Counselling As an adult, we often seek out objective point of views and look for someone to aid in our dilemmas in order to feel more positive and confident within our lives. Many adults decide to come to counselling because they want to get the most out of life, and they want to improve their overall quality of life. Others, for example, are struggling with depression and/or anxiety, which in turn, diminish their quality of life. Whether these life issues are from the past, and/or present, I will work with you offering a caring, confidential, private environment where you can feel safe and express yourself freely with no judgment. And depending on your concerns, I offer many forms of counselling treatment approaches: behavioral modification, cognitive therapy, cognitive behavioral therapy (CBT), narrative therapy, interpersonal therapy and solution focused therapy. Treatment options are something we would discuss with one another in detail in order to establish your concerns and what you would like to work on. So whether you need to resolve an issue or learn to cope with it or just need someone to talk to, I am here to work with you every step of the way! Education & ExperienceAfter graduating from the University of Guelph, I pursued my Masters in Counselling Psychology, graduating from Yorkville University. 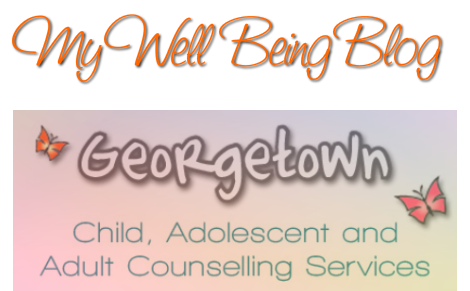 Since graduating I have focused my counselling work on working with children, ages 5 and up, adolescents, adults and parent/caregivers. My volunteer experiences began at the age of nineteen working with children under the age of 6 that experienced a form of physical and sexual abuse. In more recent years, my volunteer experiences have revolved around child, adolescent, adult eating disorders and mood disorders via workshops. As a positive motivator and communicator with strong interpersonal, organizational and analytical skills, I offer an innate ability to manage and treat all types of personalities, ages and culturally diverse clientele populations.